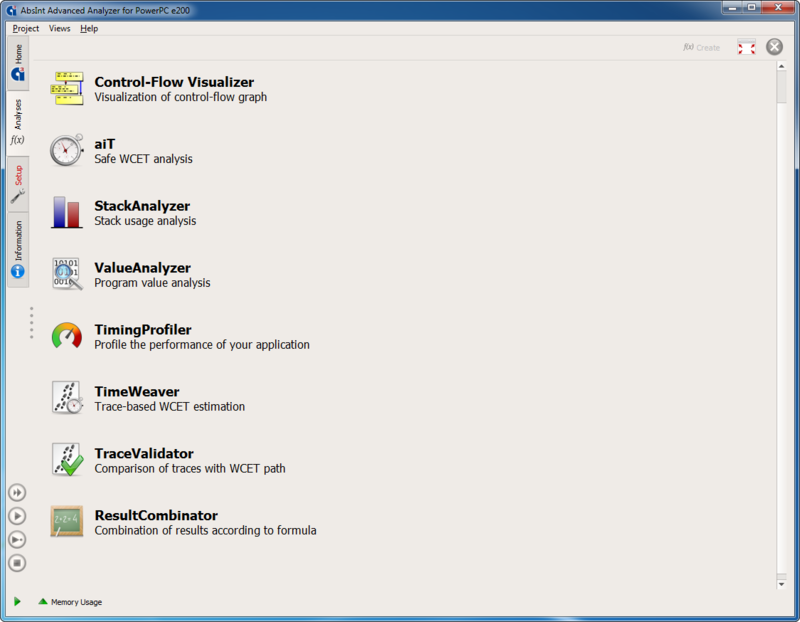 ValueAnalyzer can be combined with other analyzers from AbsInt in a single intuitive user interface. 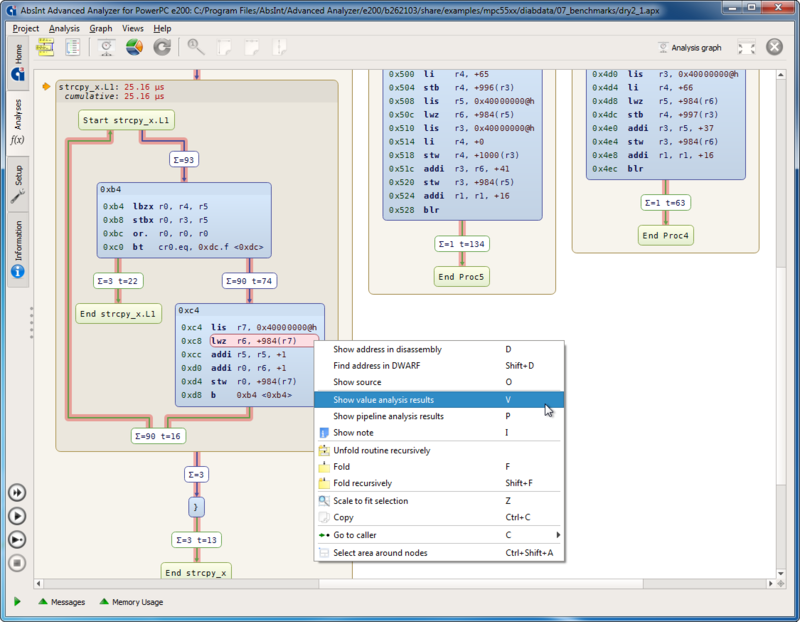 Selecting a program point in the control-flow graph for which value analysis results should be displayed. 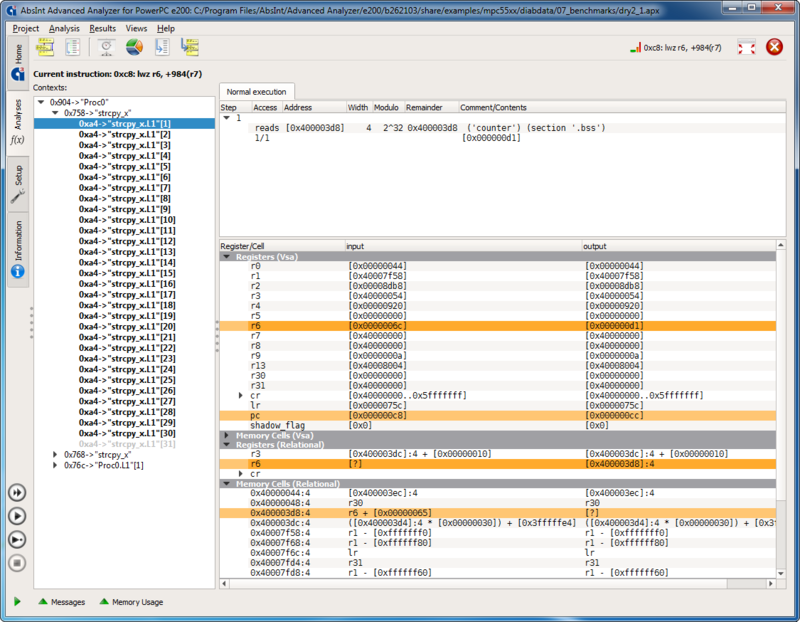 Value analysis results: the contents of all registers and memory cells at the selected program point are listed. Any values that change at this point are highlighted.